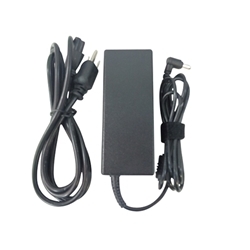 Description: New 90 watt high quality aftermarket laptop ac adapter and power cord. Input: 100-240V, 1.5A, 50-60 Hz. Output: 19.5V - 4.7A. Compatible Part #'s: VGP-AC19V26, VGP-AC19V25, VGP-AC19V27, VGP-AC19V19, VGP-AC19V24, VGP-BPS10, PCGA-AC19V10, PCGA-AC19V11, PCGA-AC19V13，PCGA-AC19V19，PCGA-AC19V21，PCGA-AC19V23，PCGA-AC19V25，PCGA-AC19V26，PCGA-AC19V27，VGP-AC19V10, VGP-AC19V11, VGP-AC19V12, VGP-AC19V13，VGP-AC19V14，VGP-AC19V19，VGP-AC19V20，VGP-AC19V21，VGP-AC19V23，VGP-AC19V24，VGP-AC19V25，VGP-AC19V26，VGP-AC19V27. Or any model that uses the above part #'s.